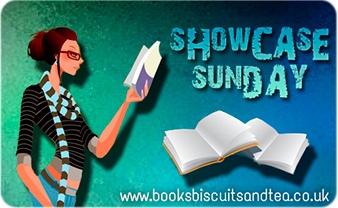 Showcase Sunday is a feature on Vicki's blog, Books, Biscuits and Tea, which shows off the books which one has acquired in the past week, from any and all sources. Whether purchased online as an ebook or in hardback from a brick and mortar store, received for review or as a gift, it's just another way to make all your blogging acquaintances jelly. 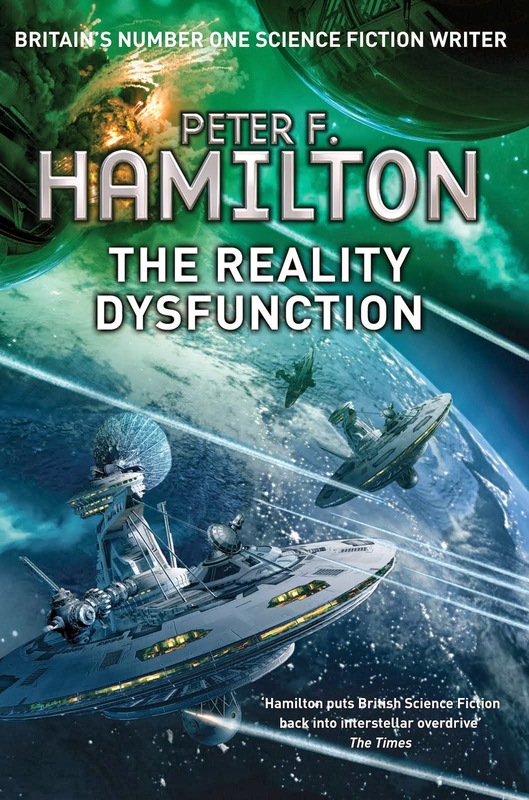 This week I recieved a large number of Peter F. Hamilton books, and they are all long, almost unweildy. 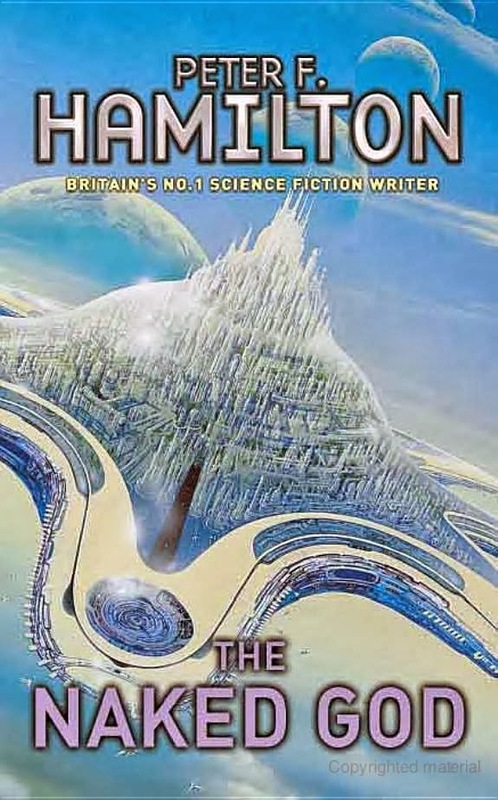 I have to figure out what order to read these in, so I thought I'd share with you the novels, short story and handbook at the same time as I copy and paste Hamilton's bibliography from Wikipedia. Addition of page numbers are my own, based on data from GoodReads. I got the whole trilogy, sweet! Once again, the whole trilogy! This one clocks in at almost 4,000 pages. Whoop! 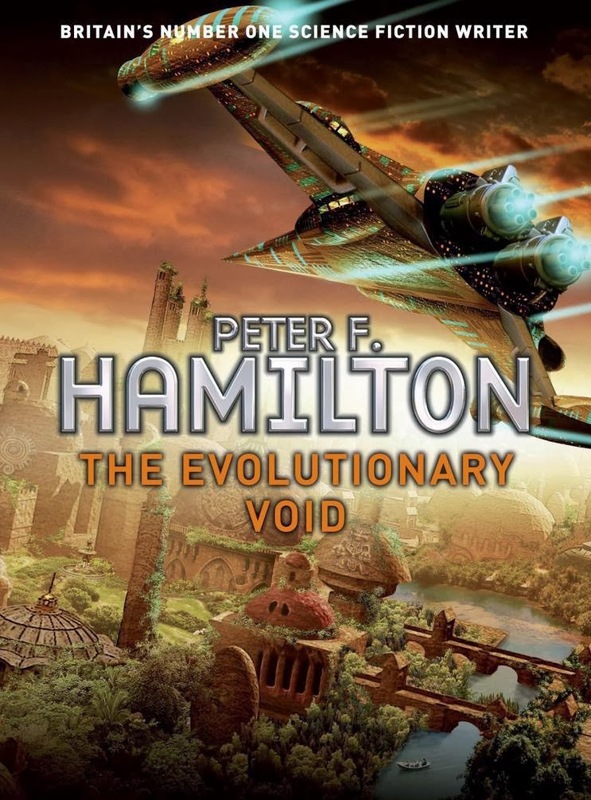 Dealing with a wide tapestry of characters in the 27th century, it's an optimistic view of our future based on current trends. Over 900 worlds have been colonized, and the souls of the long dead are flooding back into life via posession. 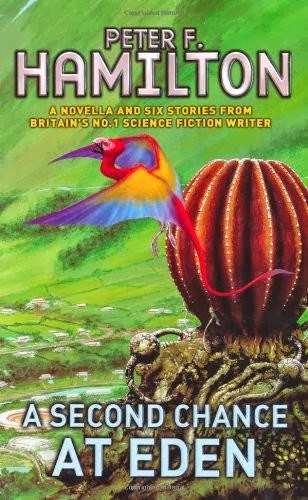 A Second Chance at Eden is a collection of stories defining the universe better, and well, the other is a Handbook written as being 'in universe'. This amounts to about 2,000 pages. No biggie. This is, like Night's Dawn, spanning many characters, many worlds, dealing with expanded life spans and advanced technology... Oh. I just skimmed the wiki page (trying not to spoil it) and I know I'm gonna enjoy this. I'm missing the first two volumes! Argh! 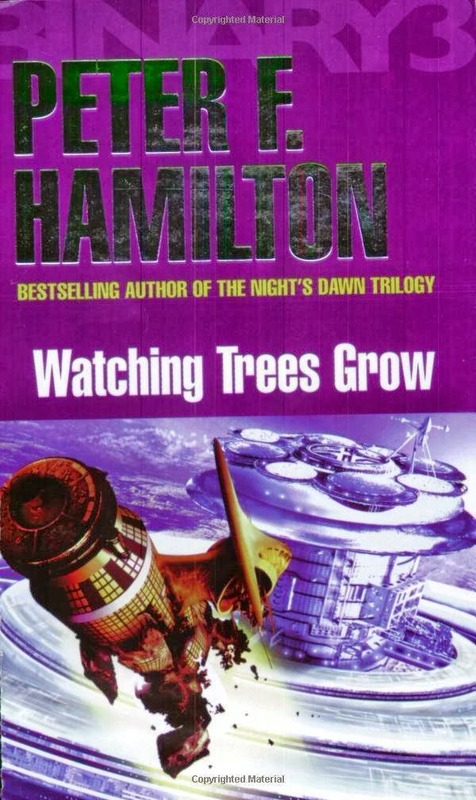 Therefore it sounds the most interesting: it's less panoramic than the Night's Dawn Trilogy. 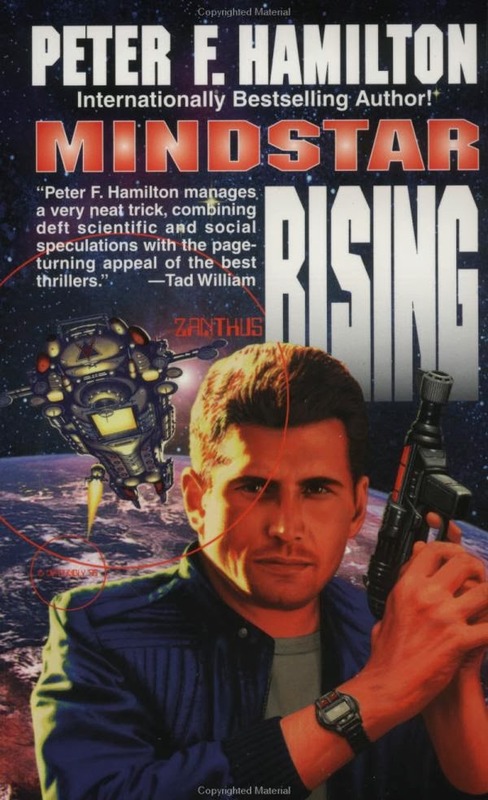 There's a self-contained universe at the core of a galaxy, and there's a Warrior Caste with Angel class life-boat ships, and something about mindwalking and a fugitive? I didn't want to spoil it, and have intrigued myself furiously. 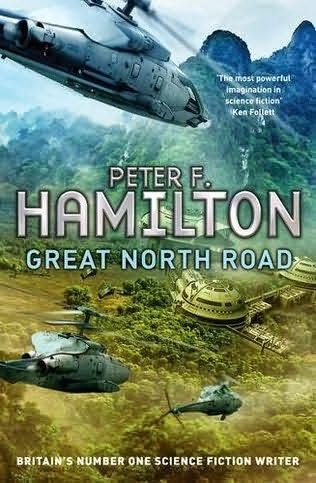 Set in the same universe as the Commonwealth Saga but 1,200 years in the future. Hamilton even shared a timeline to bridge the two. Wow. Apparently not-really kinda sorta unattached? 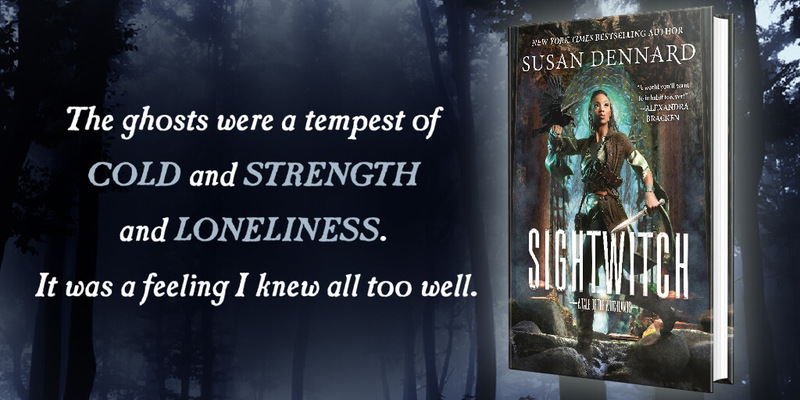 A mercenary is searching for treasure and finds something much more important. 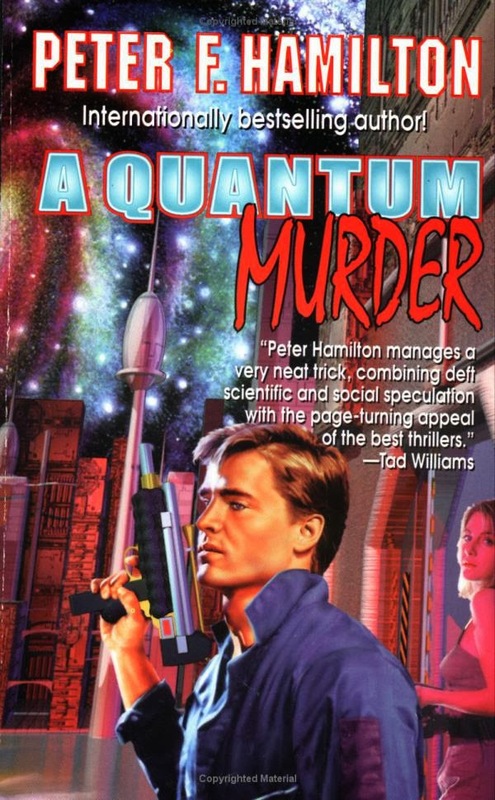 A murder mystery of space opera proportions. 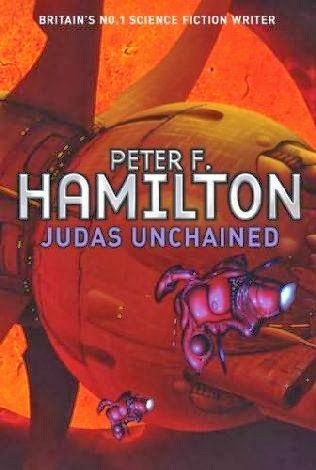 Based in a world that grew from the Roman Empire (hmm), another murder mystery. 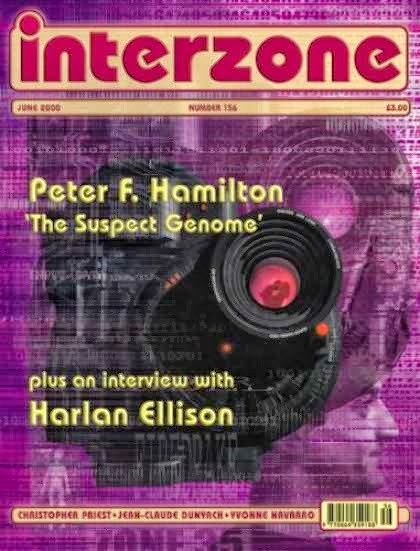 Made a bit uninteresting with the revelation of CSI techonology following it's publication, but it's a part of the Mandel series none-the-less. 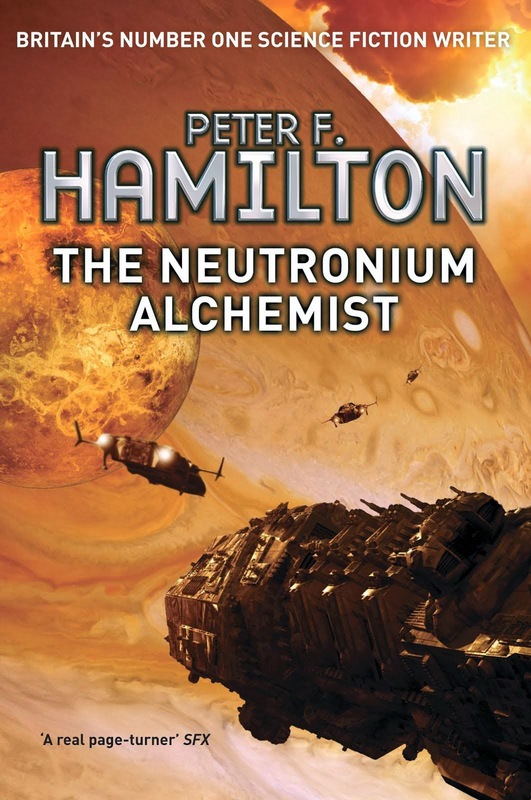 Hamilton specializes in Space Opera that spans multiple worlds and involves dozens of characters. 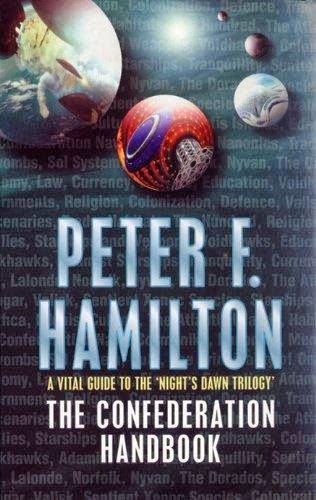 The Commonwealth Saga including The Void Trilogy are set in the same universe and share some main characters, The Night's Dawn is the other. 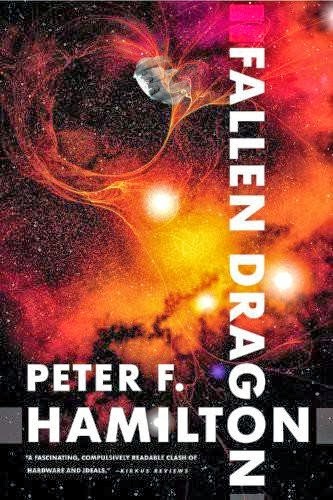 The thing that sets him apart from other Space Opera seems to be that while he freely mixes Fantasy into his Science Fiction, it's all based in fact and has somewhat realistic explanations. I keep wanting to draw the comparison with A Song of Ice and Fire but I haven't read those books, and I'm not sure I ever will. I'm looking for more modern high fantasy. I'm not sure what sets ASIF apart from other long and cumbersome series in the genre. 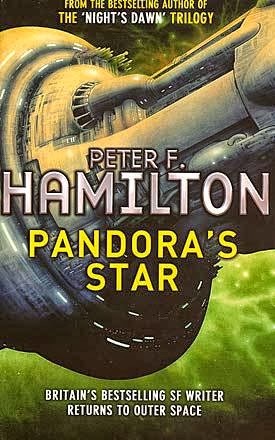 I've been flitting around with disappointing novels recently, and I look forward to just wallowing in some space opera. 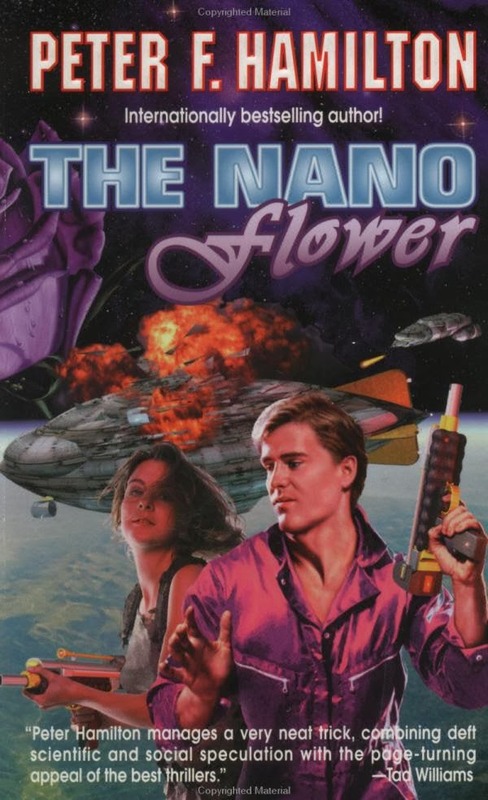 Until I find a reasonable translation of Legend of the Galactic Heroes by Yoshiki Tanaka, I have to 'suffer' with what Space Opera I am given by my very nice friends. Click here to see Vicky's Showcase Sunday.